Travel agency watching.sk was established in year 2011 with the main aim to reveal the beauties of Slovak nature to the domestic and foreign clients. 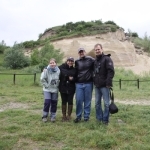 We organize trips focused mainly on birdwatching in Slovakia and in our neighboring countries (Hungary, Austria). Since this year we offer also trips focused on plant watching or wildlife watching (bears, wolves, deer). Program of our trips include also visits of interesting cultural and historical places. 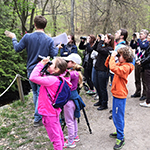 Among our non-profit activities belong lectures and excursions for children and wide public and short courses on identifying birds and their voices, particularly around Bratislava. We cooperate in projects aimed on public awareness raising about birds and nature in general, focused also on their protection. Ján Dobšovič (1980) is dealing with ornithology and nature protection since 1996. He studied Environmental Science at the Faculty of Natural Sciences of the Comenius University in Bratislava, where he also worked as the head of the student part of the academic senate. 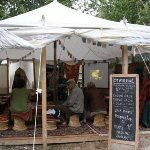 In years 2002-2004 he led international environmental camps at Záhorie for the Bratislava regional environmental association (BROZ). 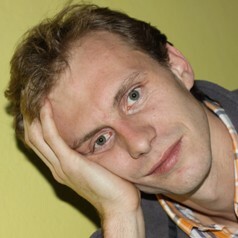 He was the coordinator of Non-governmental board Naše Tatry, which was created after the wind calamity in Tatras in 2004. 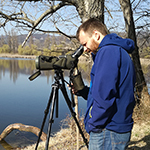 In present he is a leader of subdivision of the Slovak ornithological society/BirdLife Slovakia in Bratislava and a chairman of Nature Guard Club. He still helps at the Faculty of Natural Sciences and organizes field trips and lectures for public and pupils. He had the idea of establishing a travel agency for longer period although this came into existence only in year 2011. Now he takes advantage of his many years volunteer experiences.